Many children have no choice but to take up the responsibilities of adults at a very young age. Even if they’re supposed to go to school and play, these kids take on a parenting role, robbing them of their childhood. 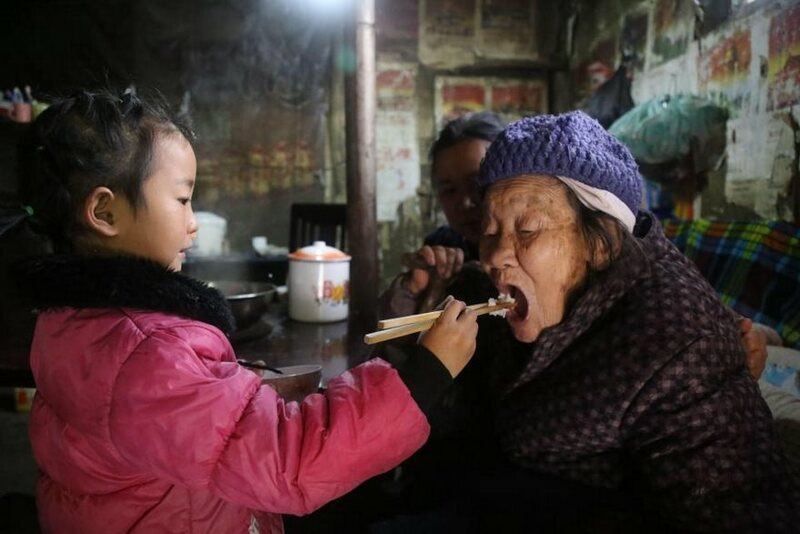 Take for instance the heartwrenching story of a five-year-old Chinese girl who became the sole carer of her grandmother and great-grandmother after her father was sent to prison and her mother remarried and abandoned them. 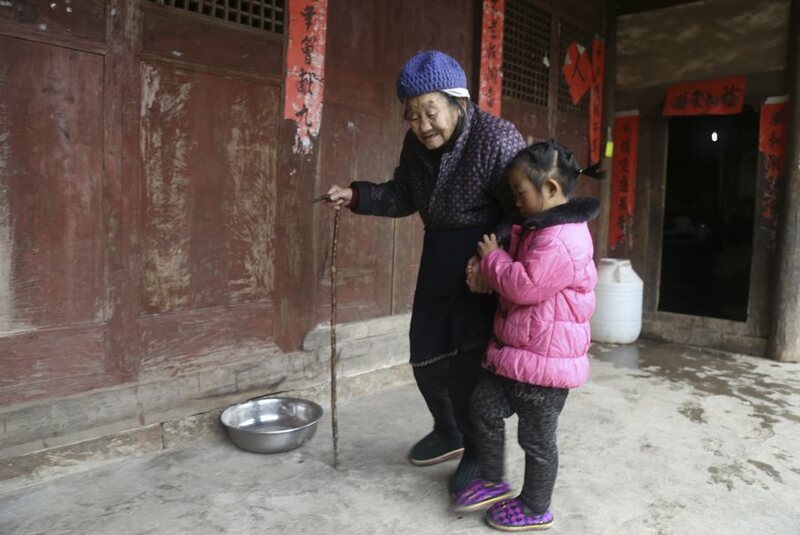 Wang Anna, who lives in a remote mountain located in Zunyi City of Southwest China, has become the pillar of a family that includes an ill grandmother and a 92-year-old great grandmother. 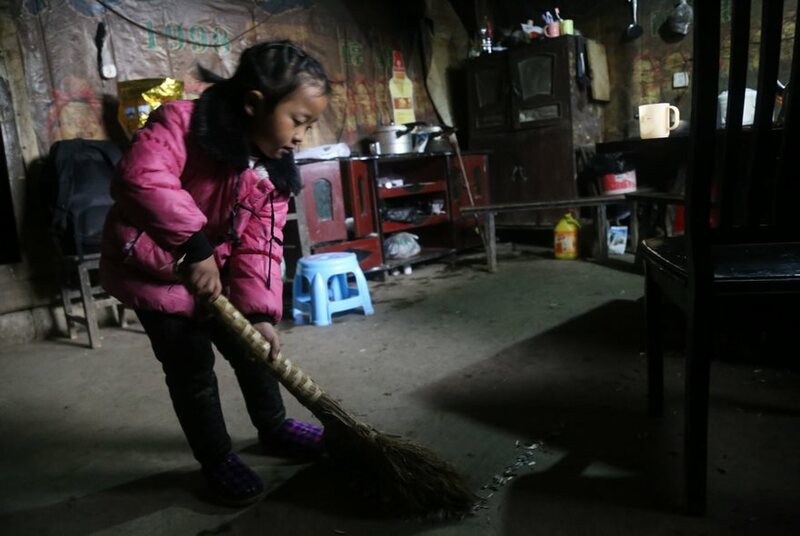 The little girl had no choice but to run a household as she had no one to rely on. When she was only three-months-old, her father was imprisoned for unknown reasons. 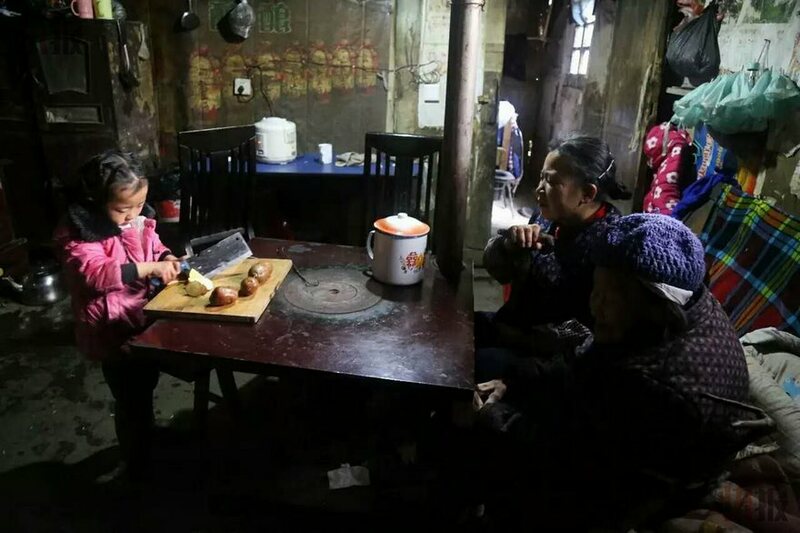 Her mother, who decided to remarry, soon abandoned them. Meanwhile, her grandmother has severe septic arthritis,making it painful for her to move and do chores. Anna takes the responsibility of cooking, cleaning the house and caring for the two elderlies. 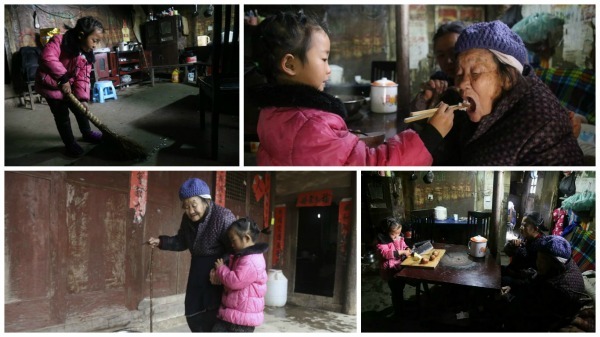 Every day, Anna has to wake up early in the morning to prepare meals for her grandmothers. 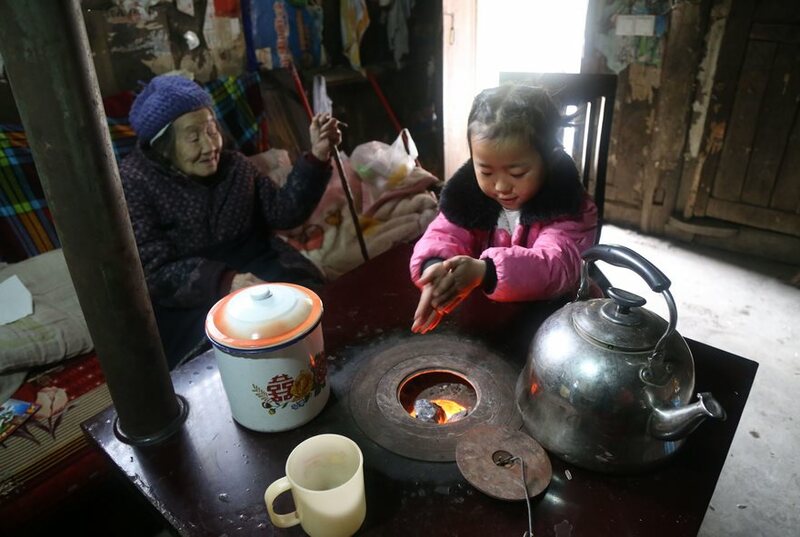 The task isn’t easy for a young child who even has to stand on a stool to reach the stove to prepare their meals. Because both grandmothers are almost bedridden, Anna did her best to assist them in moving around particularly when they have to go to the toilet or go for a short walk near the house. With no family or friends to support her, Anna soon caught the attention of a generous neighbor who owns a farm. 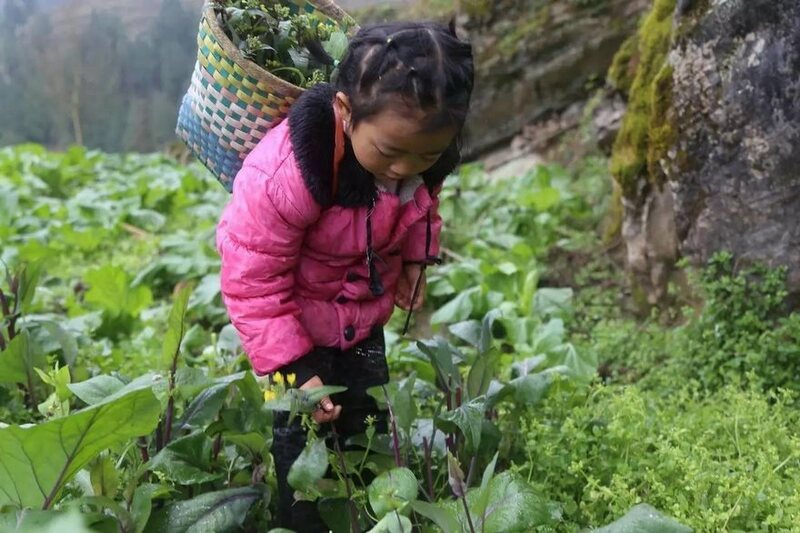 He allowed the little girl to get fresh vegetables from his farm whenever they are out of food.